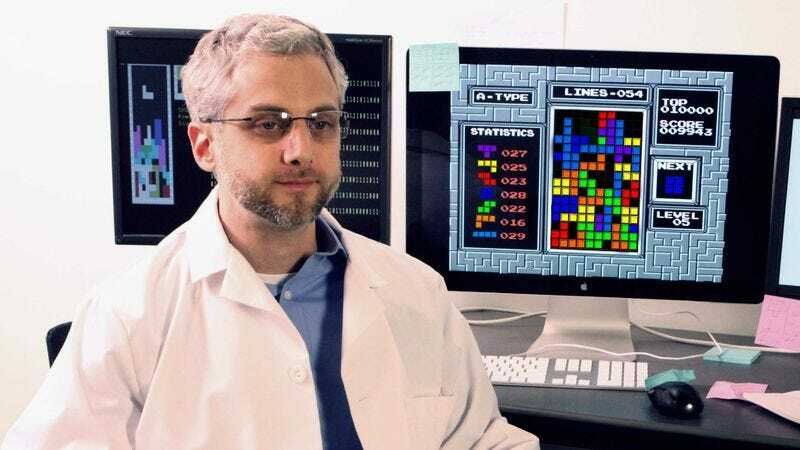 Despite 30 years of efforts, the world’s top scientists admit they are no closer to knowing which Tetris block will show up even just 10 seconds in the future. CAMBRIDGE, MA—During a press conference Thursday at the Massachusetts Institute of Technology, leading members of the scientific community confirmed that despite decades of research, the best available theoretical models still cannot predict more than one upcoming Tetris block. While they have long possessed the technology to accurately forecast and display which of the seven distinct Tetris shapes, or tetrominoes, will appear next, scientists told reporters they’ve so far had no success determining what any of the blocks beyond the immediate successor will be. “So for years, all we’ve been able to do is rotate each descending shape 90 degrees at a time, control its lateral movement, accelerate the speed of its descent if desired, and simply hope for the best,” Haemlin added. According to researchers, the ability to predict two, three, or four incoming shapes would be “nothing short of revolutionary,” allowing blocks to be stacked in more optimal patterns in order to achieve the goal of eliminating horizontal lines as efficiently as possible. For example, with enough advanced warning of an arriving I-shaped piece, scientists said they could in theory prepare the Tetris matrix in such a way that up to four rows are cleared simultaneously, with many stating this was one of the ultimate goals of their rigorous stacking trials. Edelman stated that many aspects of Tetris are indeed predictable, noting that workers in her lab had discovered that each falling piece is consistently composed of four individual tiles; that the speed at which descents occur increase in direct proportion to total time elapsed; that pieces with the same shape also share the same color; and that while the color of a piece is not particularly important, its shape is of vital significance. Foreknowledge of those shapes, she explained, could lead to a breakthrough phenomenon she described as “a perpetual Tetris” of unlimited duration.